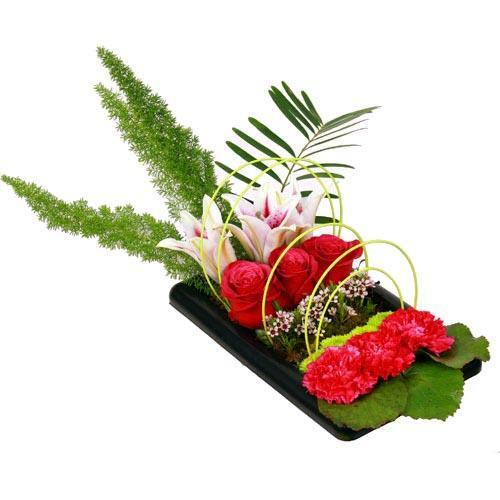 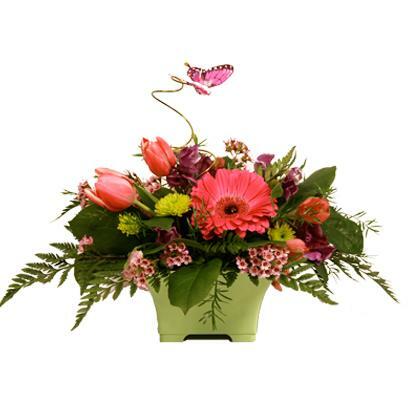 This container arrangement is arranged for the Mom who loves spring and the petals that come with the season! 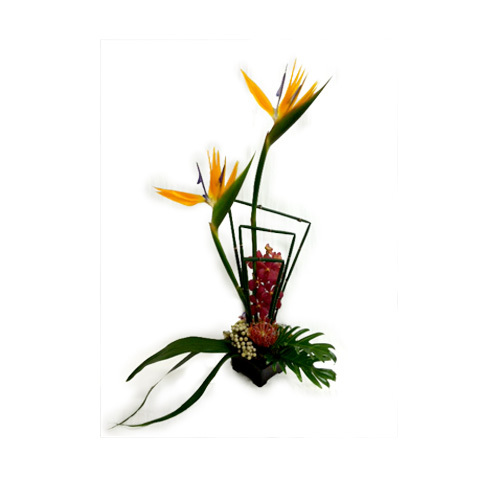 You’ll find tulips, daisies, sweet pea, alstromeria, carnations and a gerbera in this creation. 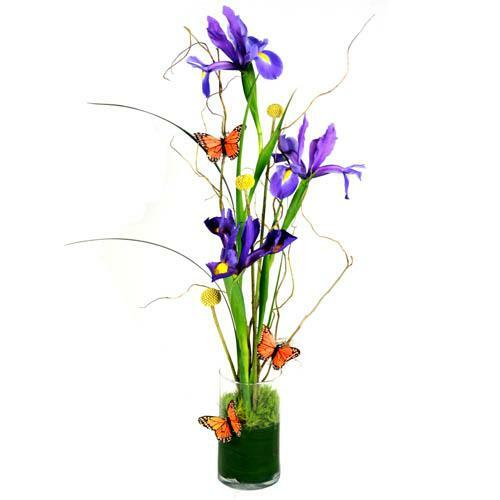 The petals are then touched by a beautiful butterfly that has just landed in the petals!